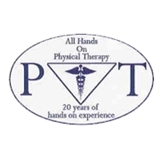 All Hands On PT (Garden City) - Book Appointment Online! We offer compassionate individual physical therapy session for 60 min. Our compassionate care and therapeutic procedures in the state of the art facility will make you most comfortable and help you improve your functional skills each session you participate with us.